Brian has been assisting Canadian Forces Members and their families in and out of Kingston for over 24 years. As an approved supplier through Brookfield Global Relocation Services he has a deep understanding of the special needs of families relocating, and a solid comprehension on all IRP policies. Being a relative of a veteran, Brian has enormous respect and knowledge of what our military families endure with many moves across Canada while serving our country. Brian has been fortunate to have helped numerous military families buy and sell in a city so rich in military history. For Sellers, Brian deals directly with your relocation officer to ensure your move goes as smooth as possible and get you to where you need to be, when you need to be there! 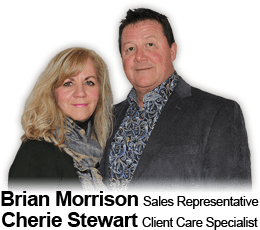 For those relocating to Kingston, Brian will ensure that you are best served by dedicating time solely to you during your home search. He understands that your new house may be your new home for a short time. With that in mind he will assist you in choosing a home that will be desirable when it is time for you to sell. Brian is experienced in all areas in the city of Kingston and surrounding areas. Brian can help you by recommending Brookfield approved inspectors and lawyers. Brian would be pleased to connect you with Brookfield Relocation Realtors wherever you are relocating.